Buñuelos, or Mexican Christmas Fritters, are flat round and fried pastries covered with cinnamon sugar. Our recipe is super simple and totally delicious! Once you have one, you'll be going back for seconds (and thirds). Combine flour, baking powder, salt, and 1 tablespoon of the sugar in a food processor and process until combined. Add shortening, and pulse until combined and mixture resembles sand, 10 to 15 times. With processor running, gradually add water through the processor’s chute until the dough is thoroughly combined. It will start to hold together in a ball. Remove dough to a floured work surface, and knead until dough is smooth and elastic, about 1 minute. Cover the dough with a kitchen towel or plastic wrap and let rest at room temperature for 30 minutes. Combine cinnamon and remaining 1 cup sugar in a small bowl and set aside. Shape dough into 24 (1 1/2-inch) balls; cover dough balls until ready to use. On a lightly floured surface, sprinkle 1 dough ball with flour, and roll with a rolling pin into a thin 5-inch round. Repeat procedure with the remaining dough balls, keeping the discs covered until ready to use. 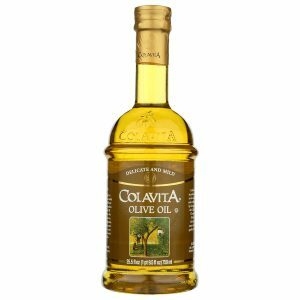 Pour the Colavita olive oil in a large skillet to a depth of 1 inch. Hear the oil over medium heat to about 360°F. Use a thermometer, or test with a very small amount of the dough. If the dough sizzle on contact, it is ready. Place two dough rounds in the skillet at a time and fry until golden brown and crispy, about 2 to 3 minutes per side. 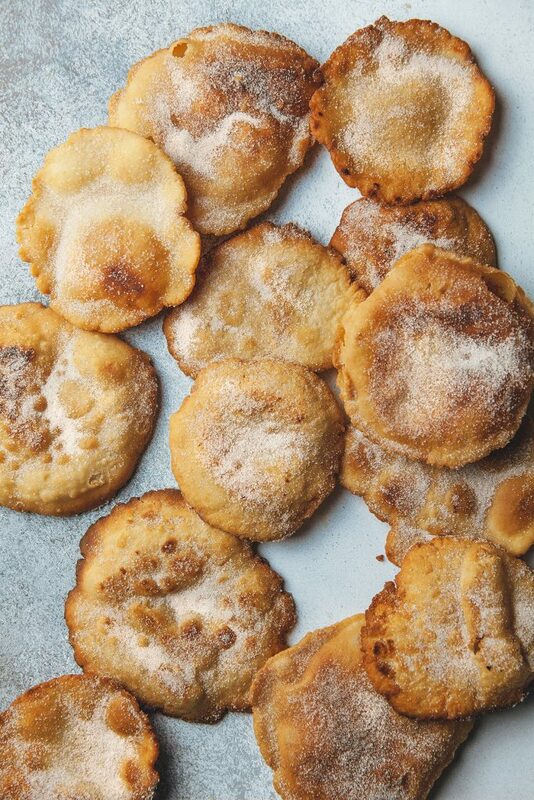 Remove buñuelos to paper towel-lined platter; sprinkle both sides with cinnamon-sugar mixture. Repeat the procedure with remaining dough balls. Serve immediately or store in an airtight container up to 3 days.